Here’s a list of the top 10 Twitter fails by big brands, which might make you feel tickled, yet vulnerable at the same time. They tweeted about the luxury services, aboard their new Luxury airliner. However, their punch failed to take off, since the company was grounded just a day before due to labor infringement issues. Vodafone’s homophobic comments got the brand a lot of negative publicity, since their own employee tweeted an obscene tweet about homosexuals. The news spread like wildfire, causing a huge stir among the media and the masses. Imagine, trying to capitalize on a social uprising event? Top it up with the location of the country and you can go down big time. Kenneth Cole’s unruly comment, about the revolution in Cairo, Egypt, sent some chilling shivers down everyone’s spine, as people rallied right off the brand’s online image. With a brand name, also comes a lot of online responsibility. While content is king, the language is definitely the Queen, as they both go hand in hand. The use of the F word on the online tweet sparked a huge debate against the company’s marketing agents, making the company issue an online apology letter to everyone. The Australian brand took a hit, when they did not realize how typos can also bring down an image considerably. A simple mix up of 2 letters made the brand look for a place to hide its face, especially, when such fiascos go viral like a nuclear bomb. While tweeting about another brand, make sure the brand is not indirectly endorsing the brand in question. A similar incident was noticed with LG, when they tried to make fun of Apple’s bending iPhone issue. 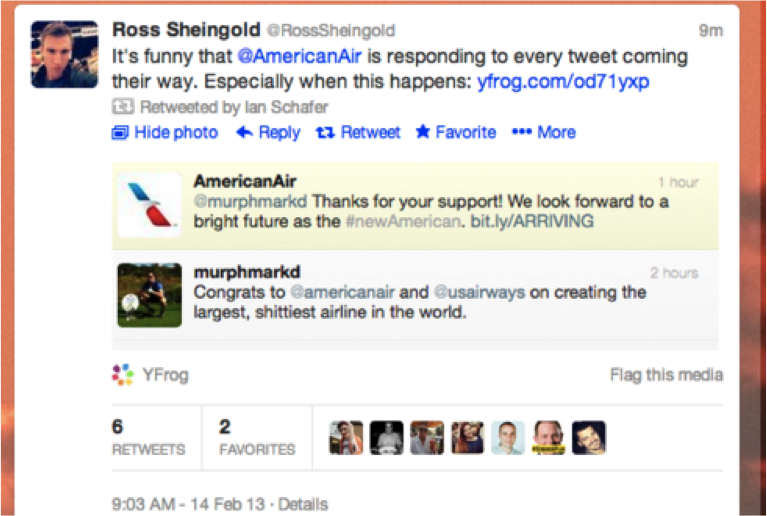 The tweet captured the source of the tweet, which caused immense humiliation to the brand’s online image. Perfect has a different connotation and meaning for different people. No one knows this better than the media makers for Victoria’s Secret. This shows how one should be careful about using sensitive words, especially, when the product in question is lingerie. Twitter CEO accidentally tweeted about its bid to take over another social media site. However, the use of words were far from appropriate, making the brand sound like it’s a human trafficking site. Auto tweeting might work in some cases, but there should be a strict review of what’s being posted where. When a customer ridiculed the service of American Airlines on Twitter, instead of apologizing for the poor services, the airlines auto tweeted a thank you note to the customer. Tired of the competition, Nokia finally tweeted their inner most feelings on the social media website. By using the F word, they have elaborated their thoughts, which don’t seem to have ‘connected too well with people’. If you want to improve your presence in Twitter try now for free our new tool. Great examples of what not to do! Lesson: Think twice before you put it in writing!